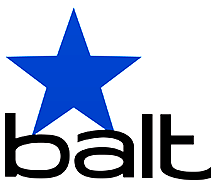 Balt is a brand of MooreCo Inc., the leader in the educational and commercial markets for visual communication products, technology support equipment and office furniture in Texas. With state of the art equipment, highly trained employees, and an excellent shipping history, MooreCo Inc. has established a solid reputation for quality and reliability. We love Balt office furniture for their affordable, well-made and original office designs. From Balt conference chairs to individual student desks and printer stands, Balt furniture continues to be innovative and cost effective for offices and educational contexts.